*customized packages can be created for your event or party needs! 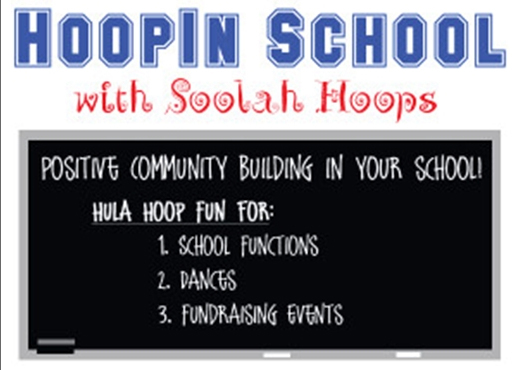 Kids (big and little) will be entertained with Hoop Play and Games with Soolah as your Hoop hostess for parties, family reunions, church picnics and more! Soolah will bring her own hoops and teach everyone how to hoop! Hooping is fun for everyone!!! Contact Soolah for more details! *Mileage costs will be calculated for events over 30 miles from home base. Soolah will entertain your guests with Hoop Play, Glitter Tattoos, and Games with Soolah as yoiur Hoop hostess along with a special FREE Hoop for the VIP! Additional costs apply per person if you would like to have basic hoops made for your party guests! Create your own Hoolah Hoop with Soolah!! In a 1.5 hour session let's make and decorate hoolah hoops together!! The pricing is for up to 10 people. Fee for additional attendees will be added per person. Soolah will help you decorate a hoop and teach you how to hoop with it once it's been made! Contact Soolah for more details! *Mileage costs will be calculated for events over 30 miles from home base. For your night time parties, Soolah will entertain your guests with Hoop Play, Glitter Tattoos, Glow Bracelets and/or Necklaces along with a special FREE Hoop for the VIP! Glow hoop performance in the evening by Soolah. For your evening parties add some fire to spark up the night! Soolah will start with interactive non-fire Hoop Play and Games with Soolah as your Hoop hostess along with a special Hoop for the VIP! 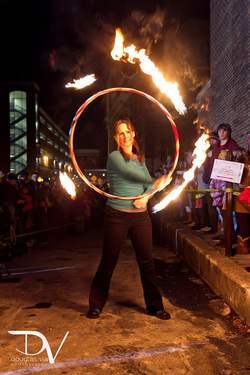 Fire hoop, mini fire hoops, "s" staves, fire orb and fire umbrella performance in the evening by Soolah! A special FREE Hoop for the VIP! Additional costs apply per person if you would like to have basic hoops made for your party guests! Contact Soolah for more details! *Mileage costs will be calculated for events over 30 miles from home base. Light up the night with fire performers and a dj for your event! Fire performers includes fire hoop, poi, fire fans, fire whip, fire breathers, fire dart, fire staff and more! It's always best to plan with us weeks in advance so we can create the perfect show for your event as well as add your venue to our supplemental Fire Performer Insurance prior to the performance. Check out Pyrophorics Website for details! Book your HoopIn School Hoop Jam Today! An A+ in Fun for Everyone! Fun music and interactive play. Take the "usual" out of your business! Put "play" back into your workday! Warehouse, conference room or parking lot hoop jams! Great for events, company picnics, fundraisers and more! Creating a positive environment in the workplace! Community Building within your company. Stress relief through laughter and motion. Adult sized hula hoops provided! Instruction on how to Hula Hoop Hoop, tricks demonstration. Fun music and interactive play!